Crafted with precision at the Raices Cubanas factory in Honduras, Alec Bradley's widely anticipated Raices Cubanas 1941 cigar has arrived. 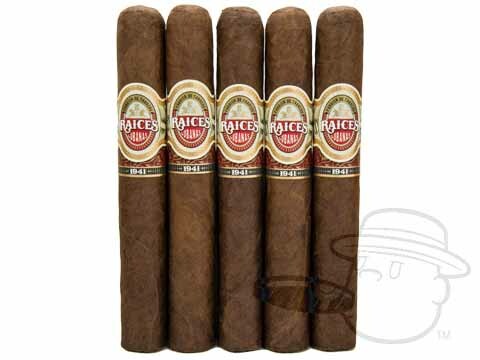 Featuring a Honduran Criollo wrapper surrounding a blend of choice Nicaraguan filler tobaccos, Raices Cubanas 1941 is a deeply rich and complex smoke boasting vivid notes of honey, earth, white pepper, and a syrupy sweetness through a clean burn and draw. These premium treats are quickly becoming a "must-have" for the discerning cigar smoker.